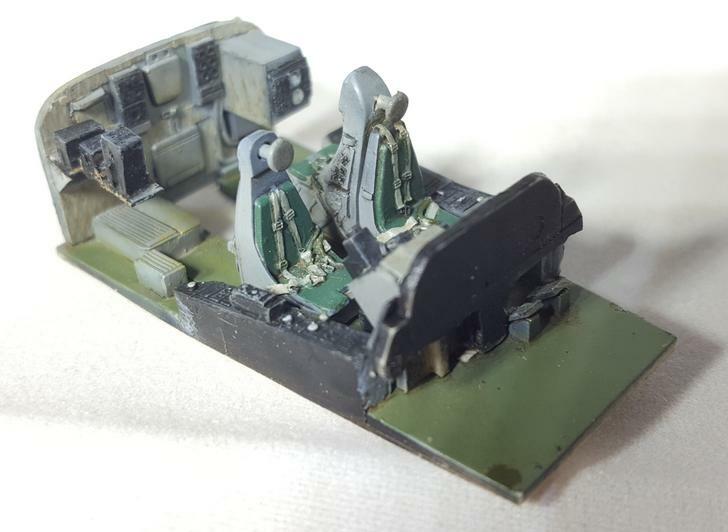 Here's what's on my bench right now: Hasegawa's KA-3B Skywarrior. 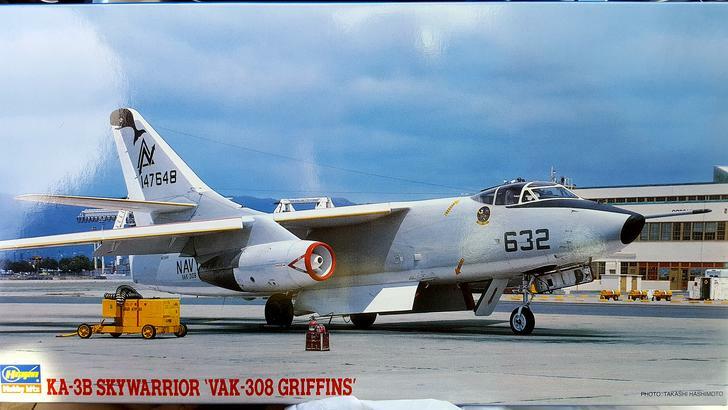 I live pretty close to Alameda NAS so naturally, I'll be doing an Alameda squadron: VAK-308 Griffins, which wad a Reserve unit and one of the last to fly the whale. 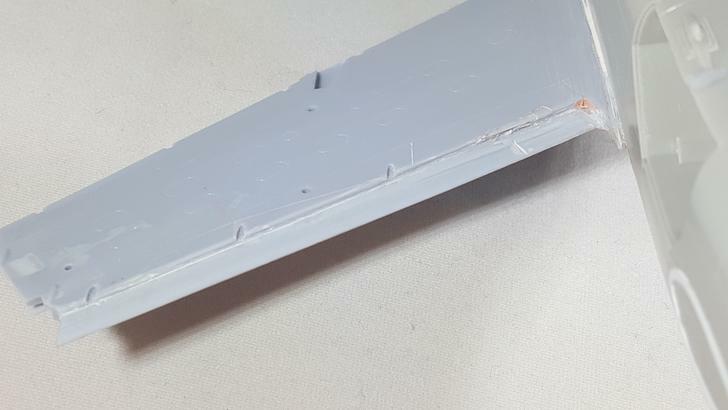 I'm not going to leave well enough alone with this build; I already have Obscureco's resin pit, Eduard PE, and Lone Star Models' dropped flaps/slats. 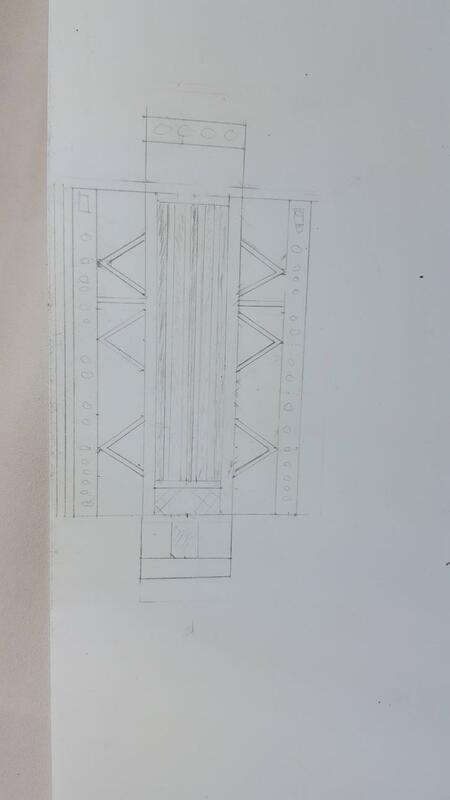 I also plan to open up the bomb bay doors since that was a pretty common configuration on the ground so there will be some scratch work. 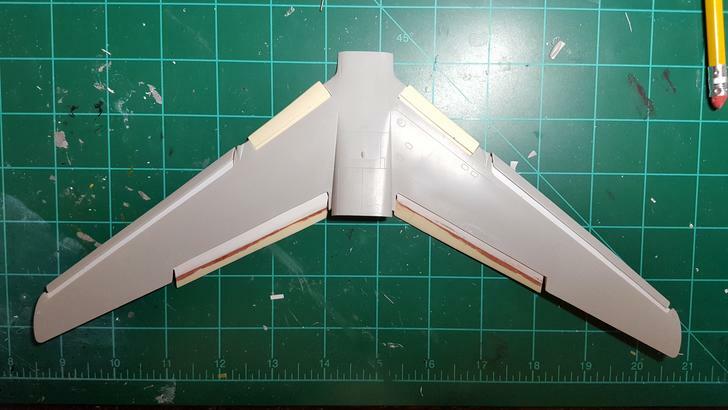 Several updates on this build...i got the wings all put together, but the flaps are giving me some trouble. 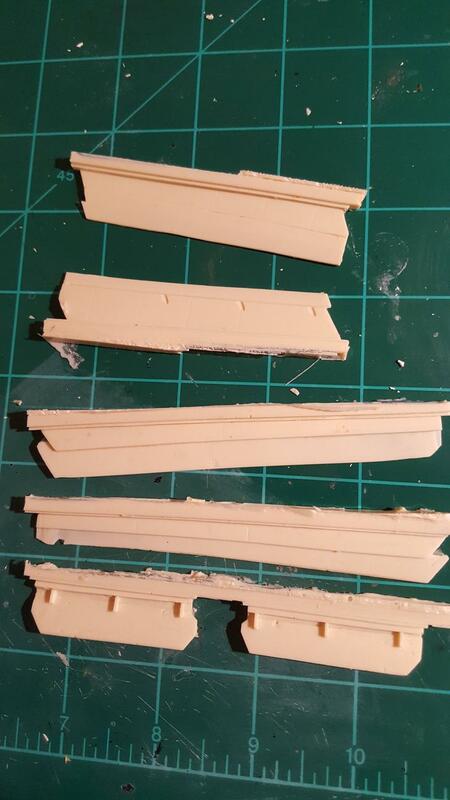 I had to add some .01 styrene to even out the upper surface and correct some shape issues. I'm having to do more sanding to even things out. 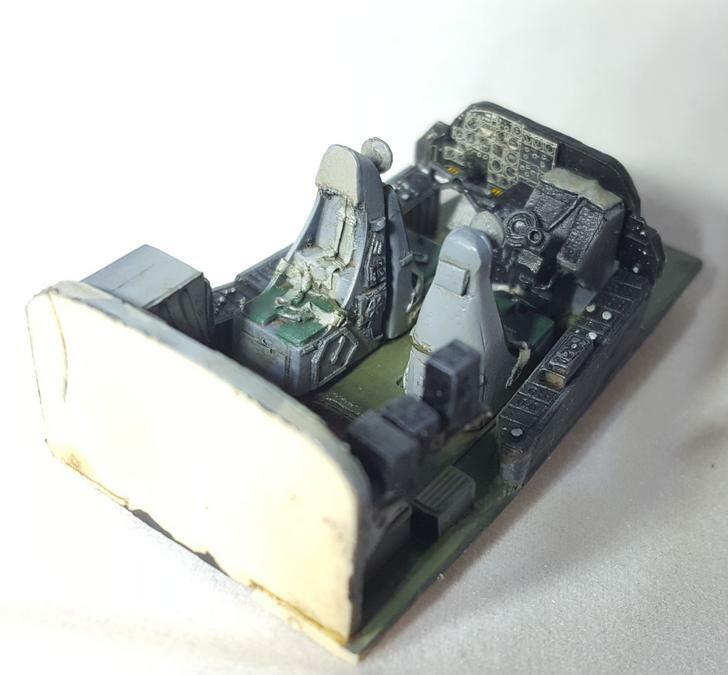 For the engine pods, in order to not have a seam on the inside of the intake, I had to cut the front portion of and assemble/fill the seams separately, paint the inside of the intake, then glue the front assembly back onto the rest of the pod. Here we are all buttoned up. 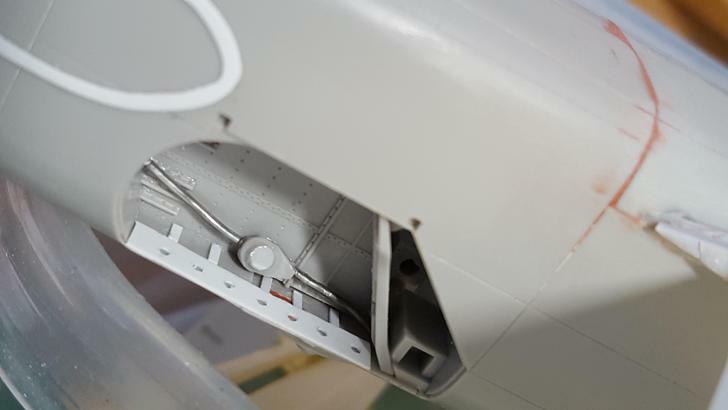 For the heat shields, I sprayed Alclad Magnesium over gloss black primer, then filled between the rivets with Airframe Aluminum. 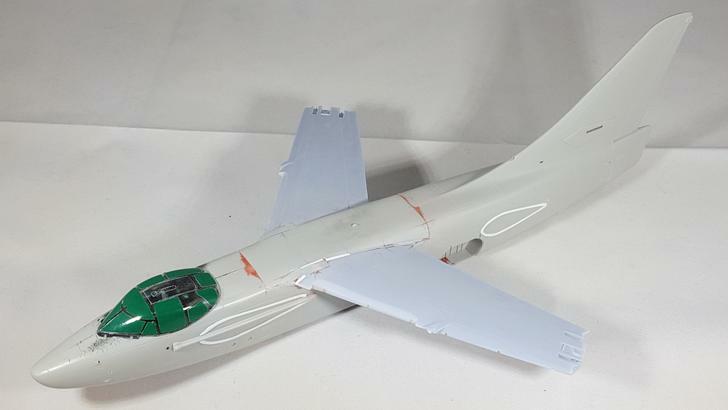 I tied it together with a light coat of airframe aluminum over the entire area. 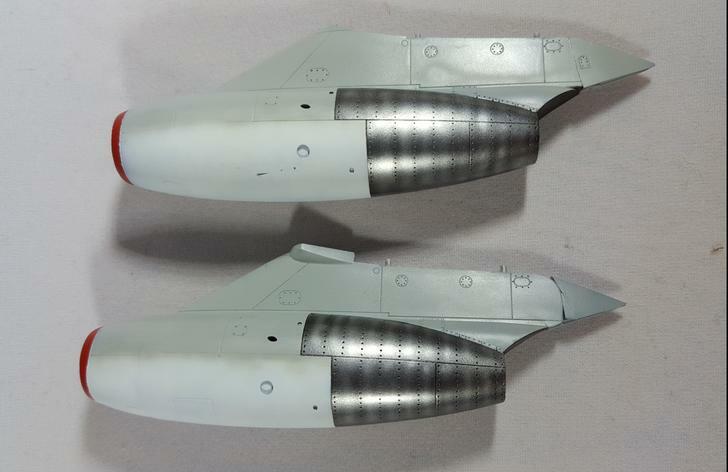 The heat shields on the nacelles and the bomb bay look great! I wasn't happy with the wings. 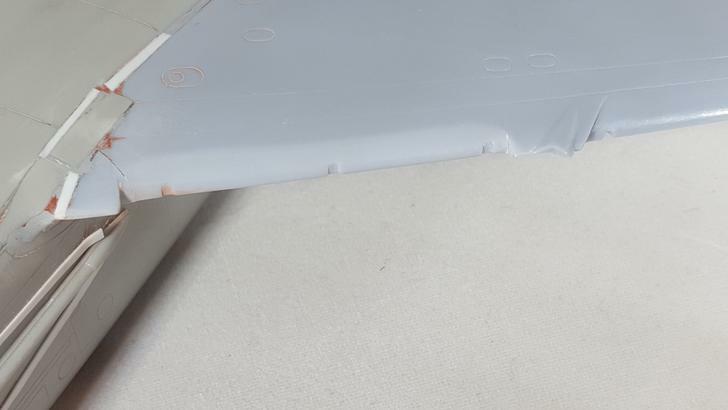 I couldn't get the resin flaps/slats to look right so I got the Wolfpack folded wing set. This will give me the added benefit of saving some space on my shelf along with a great looking set of wings! 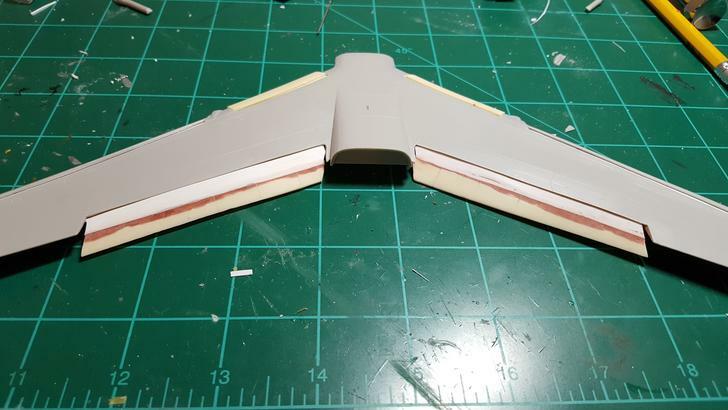 The new wings required me to saw the kit wings off the center section and necessitated a fair amount of filling and sanding at the join. 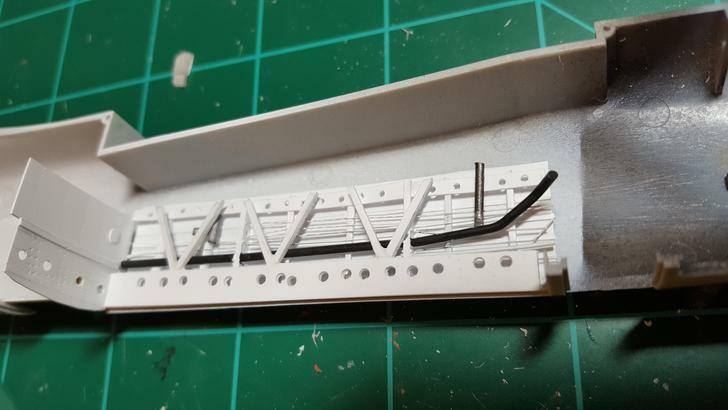 ...and because I can't leave well enough alone, I'm modifying the new wings to drop the flaps and add inboard slats since the aircraft I'm building was equipped with the Cambered Leading Edge (CLE) wing. I also added some detail to the wheel wells. Last edited by picknpluck; July 2nd, 2018 at 11:04 AM. November-Delta! 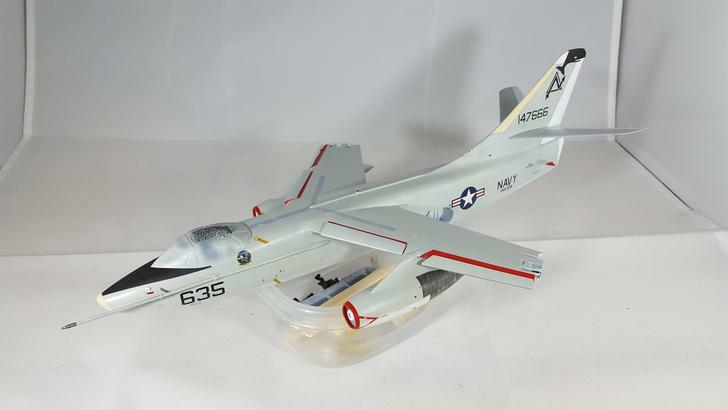 CAG 30...(PacFleet Reserve Air Wing) - Love it! Well done on the whale; outstanding work. Very nice work going on in here! Glad to see you did not give up on the flaps. 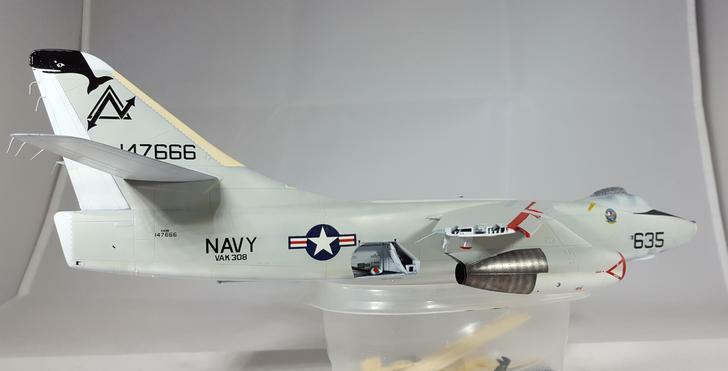 And 1/72nd scale? Damn... Wish they would do this one in 48th too. Keep up the great work! 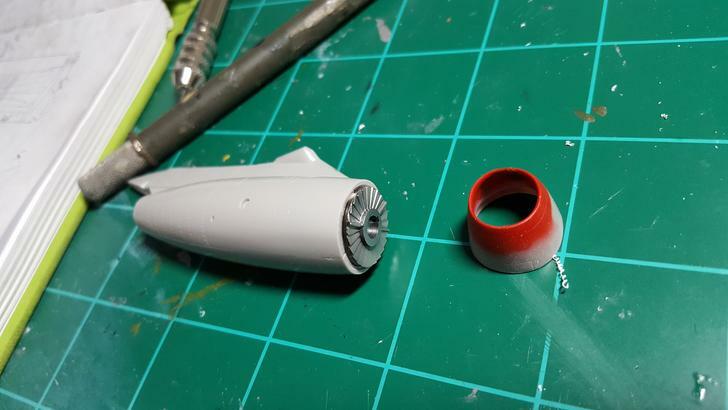 Spaz, Trumpeter makes a 1/48 KA-3B. Several other variants too. Unfortunately there are a lot of issues switch these kits, apparently.